The portable air foam-spraying gun is manu-factured in accordance with IMO international code for fire safety systems ,it can produce rich foam by means of shooting flow mixture of air,water,and foam fluid and can effective extinguish the oil fire and nor-mal solid fire,the product is authorized by china clas-sification society of shipping. portable air foam spraying gun is in accordance with the IMO"international code for fire safety system. 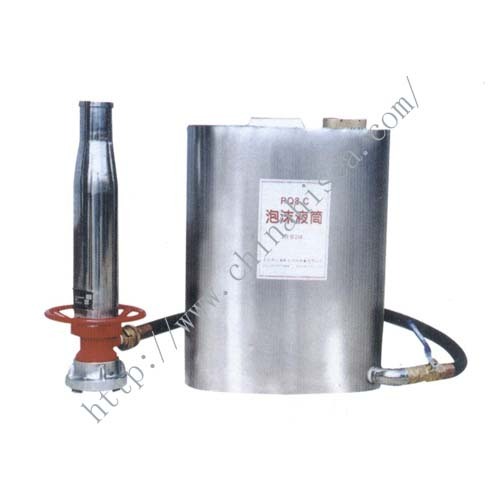 It can produce rich foam by means of shooting flow mixture of air,water,and foam fluid and can effectively extinguish the oil fire and normal solid fire. 3.The product is authorized by CCS.